I was playing around with some of the proofs from the first version and tried a vertical composition format with the addition of the printed mask also from the first edition. Staples, graphite, charcoal and pastel amplified the image as a mixed media. 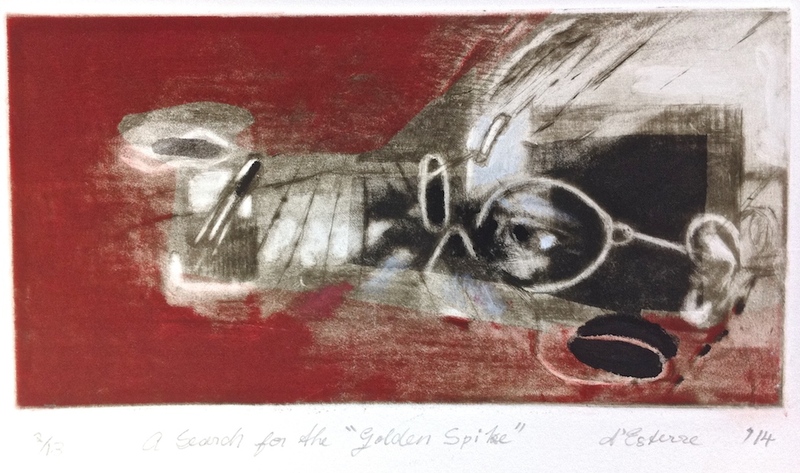 Categories: Etching, Mixed Media | Tags: chine-colle, Etching | Permalink.